Get the maximum performance for your greatest vision with the Dell Precision T7820 featuring Intel Xeon Gold 6154 , 128GB RAM and Dual NVIDIA® Quadro® P2000, 5GB, 4 DP GPU. 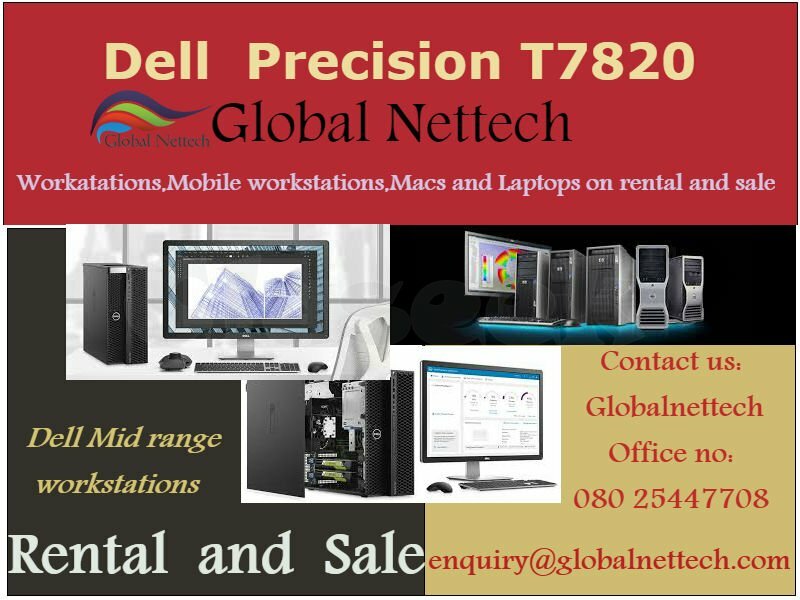 GlobalNettech provides Dell Precision T7820 workstations with the brainpower that matches yours on rental or lease for your projects to push your ideas beyond boundaries at reasonable price. We are capable of providing workstations ,laptops mobile workstations on rental and sale as per the customer requirements.